Time Confetti vs. Time Sink | Does This Font Make Me Look Fat? My daughter-in-law, Janet Szabo, is an amazing person. She gets more done than almost anyone I know. She recently wrote about how she does that on her blog. It was the post called “Halfway there.” I responded to the post saying it had taken me a long time to recognize what a difference it made if I did things in those 3, 5, 10 and 15 minutes of time that open up here and there. My d-i-l responded calling that time confetti. What a clever concept. 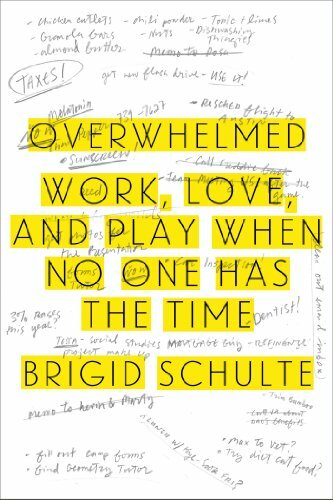 When I googled time confetti it was Brigid Schulte, author of Overwhelmed: Work Love and Play When No One Has the Time who coined the phrase. I’m a visual person and I can just see those little bits of time which can be used to simplify my life. Hang up my coat instead of putting it on the chair inside the front door where other coats will accumulate and soon I have a five minute job instead of a thirty-second one. The ten minutes between when I’m ready to walk out the door for an appointment and the time I actually need to leave is plenty of time to unload the dishwasher, put in a load of laundry or sit and read the new book I just started. Using that time to check emails is not productive because I get sucked into deepening sink holes of what’s on sale at Joanne’s, LandsEnd, DripWorks and Burpee Seed Company. However, my good intentions to stay away from emails, are made difficult by my computer which now dings and throws up a little box with a portion of the email. It just happened. Joanne Fabric is offering Free Shipping for online orders. Whoosh. There I go sliding into that time sink. And don’t get me started on FaceBook. This entry was posted in Books, Uncategorized and tagged Brigid Schulte, Janet Szabo by Mala Burt. Bookmark the permalink. I will add that book and its marvelous concepts to books I’ll begin reading when toddler attends school but I want to offer you a tool to help with emails. It’s an email assistant called UnrollMe. You tell it to put all the emails that you don’t want to totally get rid of (twitter, JoAnn’s, Kohl’s) into a roll up page. So you go there for all of them. And then it will offer you a list of new subscriptions in your box with the options to unsubscribe, keep in inbox, or roll them up. It has made the email box a way happier place for me to visit. Then I leave items like your blog post in there until i take the time (now) to come back and pay proper attention to them. Search for it and try it out. Thanks, Shalagh. I’ll try it out. Just sent you the link in your email !! !